Who doesn’t know Super Junior? They have brought the K-pop wave all around the world with their song, “Sorry Sorry” which has been a big hit from 2009 till now. Given the title “King of K-pop”, of course, they are excellent at both singing and dancing. Super Junior is known for their vocal line: Yesung, Kyuhyun, and Ryeowook. Debuting as one of Super Junior’s members in 2005, Ryeowook’s singing skill is no doubt. He is also active as actor and solo singer. 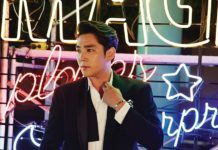 For those of you who want to know more about Super Junior’s Kim Ryeowook, check out the stuff below! 1. Ryeowook is the only child in is his family. 2. Ryeowook is known as the second most outgoing member. 3. Ryeowook loves to sleep. He is able to sleep for 18 hours a day. 4. 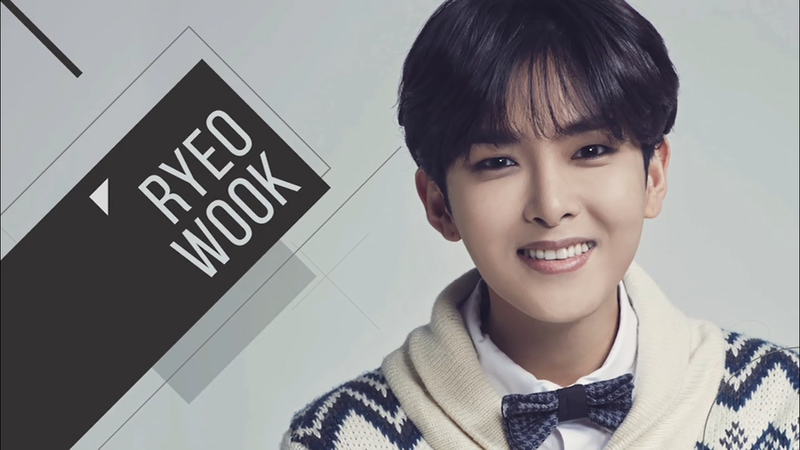 Ryeowook is member of two Super Junior sub groups, Super Junior KRY and Super Junior M.
5. He can play piano and keyboard. 6. Ryeowook has a mole on his right cheek, but it is hard to see as he always covers it with makeup. 7. Ryeowok is like a mother to Super Junior members. 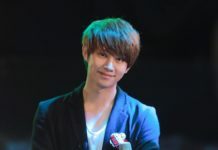 He is the one who takes care of the other members and worries when they are sick. 8. Ryewook bought a house for his parents. 9. He has a funny drinking habit. If he is drunk, he will go around and say “I love you”. 10. Ryeowook likes to search for many websites, not only his fan sites, but also anti-fan sites. 11. 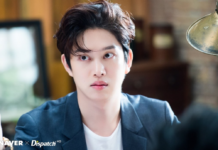 Whenever he argues with Super Junior members, he will cry, then continue to explain, apologize and go to each member’s room to say “I love you”. 12. He enlisted on October 11, 2016, and is currently serving in the army. He will be discharged in July 2018. 13. Ryewook has several nicknames, including: Eternal Maknae, Wookir, Ryeonggu, and ex. Maknae. 14. His favorite color is purple. 15. Ryeowook’s favorite food is Kimchi fried rice. 16. He also likes sweet things, incuding chocolate, ice cream, and fruits, such as, banana and strawberry. 17. Ryeowook was exposed to SM Entertainment through CMB Youth ChinChin Festival backed then in 2004. His singing talent impressed all the judges and he was recruited by SM as their trainee afterwards. 18. 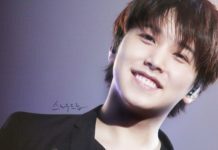 He used to be the maknae in Super Junior before, but then Kyuhyun was added to the grup. 19. Ryeowook has also succeed in proving his vocal skill by getting the first place in KBS’s “Immortal Song 2”. 20. Ryeowook loves cooking so much. He likes to search for recipes in internet. He used to make breakfast for Donghae. He also peeled fruits for other Super Junior members. 21. Ryeowook had his first kiss when he was still 7 years old (unintentionally). 22. He likes watching “Winnie the Pooh”. 24. Ryeowook will feel sad if other people don’t want to eat his food. 25. Ryeowook ca drink 2 to 4 bottles of soju. 26. Ryeowook is the shortest member of Super Junior. 27. Ryeowook has a very soft heart and he cries easily. 28. Ryeowook said that he likes girls with beautiful necks. 29. Ryeowook loves giraffes so much, and he often receives “giraffe” related gifts from fans. 30. He likes free make-up samples. Ryeowook is the only child in his family. 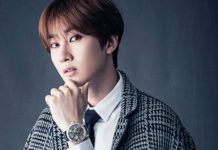 Being an idol with Super Junior members for years, he was overwhelmed with work. Ryeowook mentioned that it was hard for him to spend time with his family, as it takes much time from Seoul to Incheon (his house). But that doesn’t mean that Ryeowook is not close to his parents. He set a goal with his dad that they would take a family photo to which he did. He also went shopping before the photoshoot with his parents, they bought a suit for his dad and clothes and a bag for his mom. 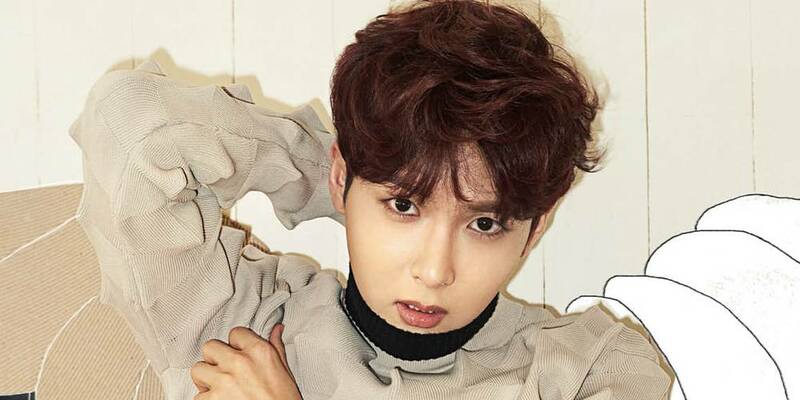 Did Kim Ryeowook Undergo Plastic Surgery ? Super Junior Kim Ryeowook is known as the second most beautiful member among Super Junior members. He has a very good skin, and also a very slim body. Many people wonder whether he ever had a plastic surgery before. 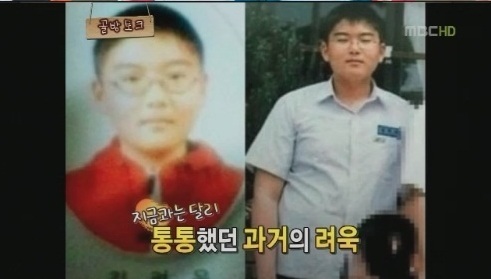 When Super Junior’s Kim Ryeowook appeared on MBC’s “Come to Play”, he shocked everyone by showing his old pictures. 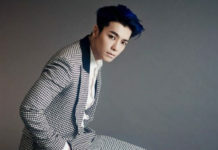 He revealed that his weight was more than 189 pounds (89 kg) when he was young. Judging from his old photos and his statement, it was then known that his beautiful face was gained through his drastic weight lose. 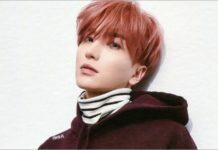 Kim Ryeowook is one of Super Junior’s members who has had the chance to have a solo debut, other than Yesung and Kyuhyun. 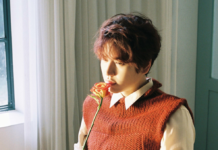 Kim Ryeowook’s solo album “Little Prince” was released on January 28, 2016 before he enlisted. The main tract “The Little Price” was inspired by a Antoiine de Saint Exupery’s novel. It is a ballad song that tells a story about a man in pain from love and The Little Prince. It was a song that really suits Ryeowook’s soft but clear and powerful voice. 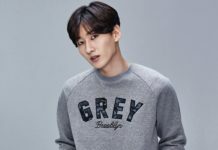 Feast Your Eyes On Some Pics of Super Junior Member Eunhyuk’s Abs! 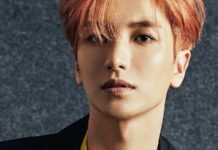 Do You Know Super Junior’s Leader, Leeteuk? Here Is His Full Profile, From His Family to His ABS! A New Bromance Emerges Between BTS’ J-Hope and Japanese Actor Kentaro Sakaguchi! How Charming Are GOT7 Without Makeup?